Well, Steve, I tried, but when you’re a rising artist that happens to have some similarities with excellent artists (especially one in particular), I can’t help but make at least a couple of comparisons. Lacy, who’s only 19, displays qualities that rarely any other artists his age (or any age for that matter) have the ability to show: variety, consistency, but not redundancy. Throughout the six, terse tracks, Lacy gives his listeners an exemplary appetizer of what he can offer – smooth bass lines and guitar riffs, classic drum loops, and creative vocals that are reminiscent of Pharrell Williams, one of Lacy’s biggest influences. Lacy’s similarities to Pharrell are most evident when examining his N.E.R.D era. Tracks such as “Haterlovin,” “Dark Red,” and “Thangs” sound as if they could come straight from N.E.R.D.’s debut album, In Search Of. “Dark Red” in particular fuses the juxtaposition of alternative rock and R&B influences which is frequently found in Pharrell’s work. However, Lacy surely shows his individualism as well – an individualism that arguably surpasses that of his idol’s early work. This comes into play with the EP’s 3 other songs, “Ryd,” “Some,” and “Looks” which are not only the smoothest tracks on the album but potentially the smoothest tracks of the year so far, especially “Some” which utilizes a sultry bassline, flowing layered, breezy guitars and Lacy’s surprising falsetto abilities. 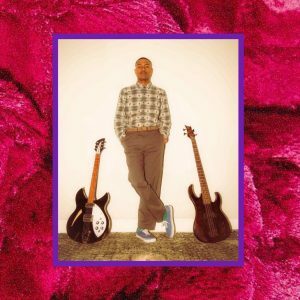 Although none of the songs surpass 3 minutes in length, Steve Lacy’s Demo makes its point clear, and concise with no filler tracks – a rarity in modern music. Keep Lacy on the radar.